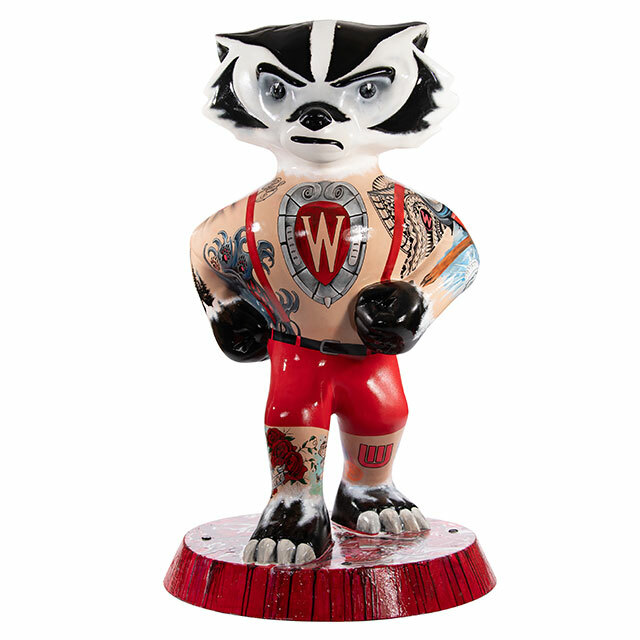 This design imagines what is underneath the classic red-and-white striped sweater, depicting Bucky with a variety of Madison-themed tattoos. 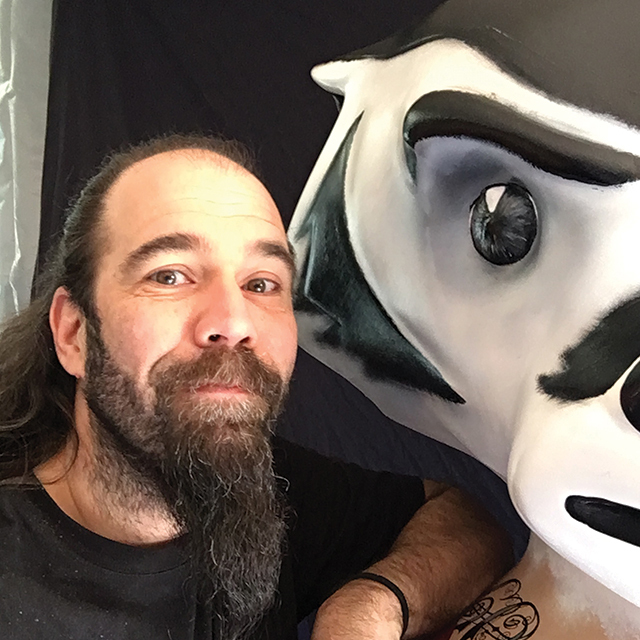 I am a professional tattoo artist and owner of Ultimate Arts Tattoo in Madison. I’ve been a lifelong artist. My first art job was doing ice sculpture and cake decorating. I have been a full-time tattoo artist for the last 20 some years. I also sculpt, oil and watercolor paint. There is just something about creating something and sharing it that makes me feel good. This is the third big fiberglass statue I’ve painted. First a cow, and then a giraffe for Henry Vilas Zoo. My mother was a big fan of all of them, but I know she would have been extra fond of Bucky. 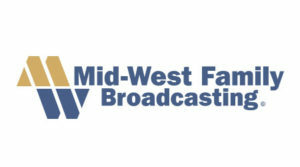 If this is to honor anyone, it would be my mother, Marlene Spangler.